As any seasoned fan of The Mountain Goats (or “Old Goats” as they are so want to be called) will tell you, the group has always been little more than a creative vehicle for frontman John Darnielle. Diminutive and seemingly painfully suburban, he imbues his nuanced lyrics with such an unrefined emotional rawness that Mountain Goats classics like “No Children” and “Dance Music”– apotheoses on love, loss and dysfunctional relationships – manage to be in equal parts deeply personal and arrestingly touching. By this measure, All Eternals Deck is a starkly underwhelming album. Lyrically, the album seems strained – Darnielle’s once effortlessly sinuous song writing is mired in a slew of simplistic “night/light” ABCB couplets, an unfortunate album trait exemplified in the utterly forgettable “Prowl Great Cain”. This percussion-driven romp, with its clichéd biblical reference and contrived end rhymes, is an insipidly glib experience that is regrettably mirrored in many of All Eternals Deck‘s tracks. 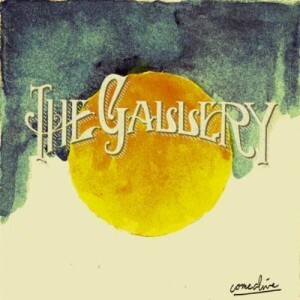 The album is thematically unfocused as well – the record opens with an angry meditation on the meaning of freedom (“Damn These Vampires”), diverts itself briefly into an ode to love lost (“Age of Kings”) and finally arrives at a self-depreciating criticism of big-city life (“Liza Forever Minelli”). The only connecting aspect throughout the album is a pervasive sense of dread – when he’s on form, even on musically upbeat tracks (“High Hawk Season”), Darnielle’s interminably candid vocals saturate the record with malaise and foreboding. 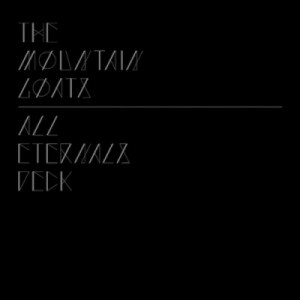 Where the album truly comes into its own is within the function it serves for the rest of the band’s catalogue: All Eternals Deck marks the final stage of the Goats’ progression from Darnielle’s early hushed acoustic work to what is essentially an exercise in vaguely The Hold Steady-esque alt-rock. This is arguably the most obviously produced of the Mountain Goat’s albums, lending inarguably from the involvement of legendary death metal producer Erik Rutan, however the value of his influence on the record is debatable. Darnielle traditionalists will likely resent the unapologetically more accessible direction taken on the album whilst new fans will appreciate its cleanliness. Personal preference notwithstanding, the fact remains that on at least several of the tracks Darnielle’s vocals have had their sincerity buffed out by over-zealous production – gone are the idiosyncratic inflections and intimately delicate intakes of air at the end of lines that shone so clearly in past albums (Read: The Life of the World To Come). 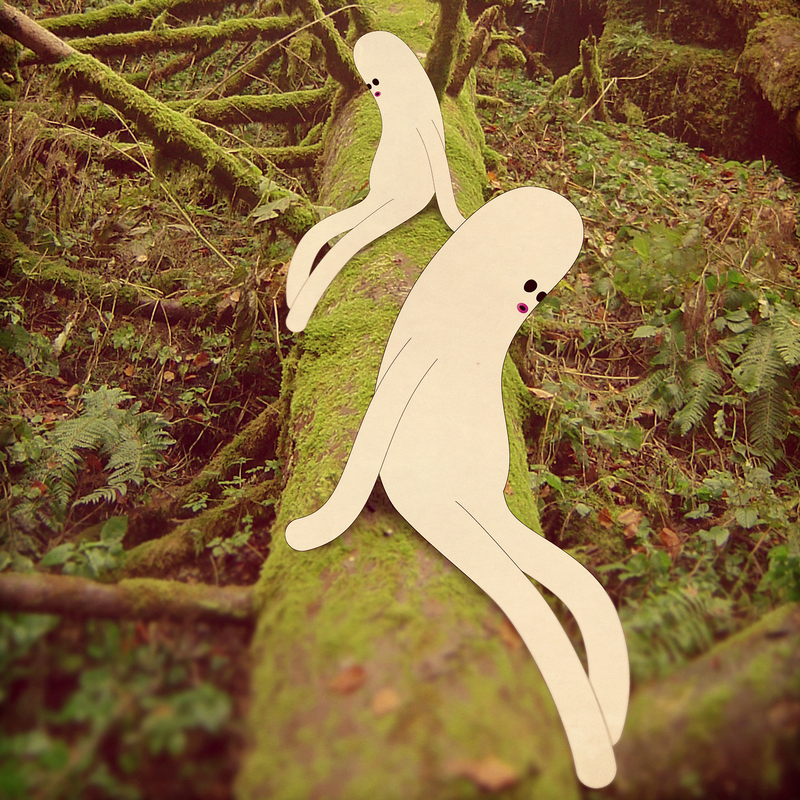 The vocal track that remains is often embarrassingly reedy and unimpressive, especially on the tracks in which Darnielle attempts to raise his voice above his typical reserved lilt and into a stirring bellow (“Birth of Serpents”). Significantly, there is an obvious decentralization of Darnielle as the creative driving force of the band – there is a much more diverse instrumental track in the album compared to some of its acoustic guitar-lead predecessors, telling of a more involved contribution from bassist Peter Hughes and drummer Jon Wurster. All Eternals Deck is by no means a bad album. The lyrics may not be Darnielle’s finest, but at the same time he abstains from counting off the days of the week – he is as always at the head of his contemporaries in this regard. As a typical Mountain Goats record, it takes no excessive risks but is appropriately emotive and sublimely executed. Ultimately, listener enjoyment of this album is largely dependent on their opinion of the band’s back catalogue: an All Hail West Texas purist can be expected to disapprove of the relatively weak writing and intimacy of the record. 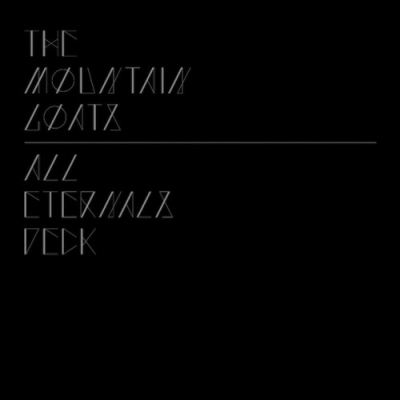 All Eternals Deck has only promising things to say about the future of The Mountain Goats, and knowing John Darnielle – we won’t have to wait long till we find out just what it entails. Standout Track: “Never Quite Free” – triumphantly defiant, a fitting emotional climax for the album. The Minnesota Twins have recently clinched the AL Central Division Championship. For the team’s upcoming playoff run, Craig Finn of The Hold Steady and The Baseball Project (composed of Steve Wynn of Dream Syndicate and R.E.M members Peter Buck and Scott McCaughey) have written a theme song entitled “Don’t Call Them Twinkies” which can be streamed here.